While some people choose to be less active when they are away from home, exercising on the road can make a trip more enjoyable and memorable. It can also help you burn off extra calories being consumed on vacation or during a business trip! Check out a local gym or group exercise class. Rather than just exercising in your hotel’s gym, what about checking out the local fitness scene in the area that you are visiting? For example, Sam Shank, CEO and Co-Founder at HotelTonight (the world’s leading hotel booking app) told me that he likes to use ClassPass when he’s away from his home gym. (ClassPass is a membership service that provides access to fitness studios in major cities.) “You get the experience of ‘living like a local,” he says. An alternative to ClassPass is to buy a day pass for a fitness studio in the area that you are visiting. Most gyms sell individual passes for only $10-$20 a day (no long-term membership required). Use the environment to create your own outdoor workout. A free alternative to checking out a local gym is to use the environment to create your own outdoor workout. For example, a few years ago, I took a weekend beach trip with a group of friends. 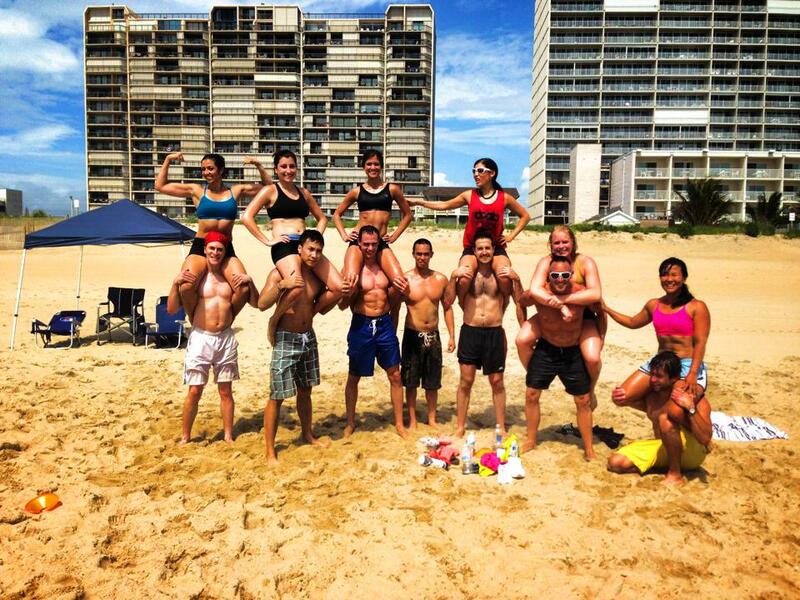 On Saturday morning, all of us got up and worked out on the beach for an hour. I brought heavy-duty garbage bags and filled them with sand. Then, we used these homemade sand bags for various exercises. It was challenging, fun, and very different from our typical workouts. It also helped burn off some of the seafood buffet that we ate later that day. As discussed here, if you plan to indulge, it’s a smart strategy to workout beforehand. 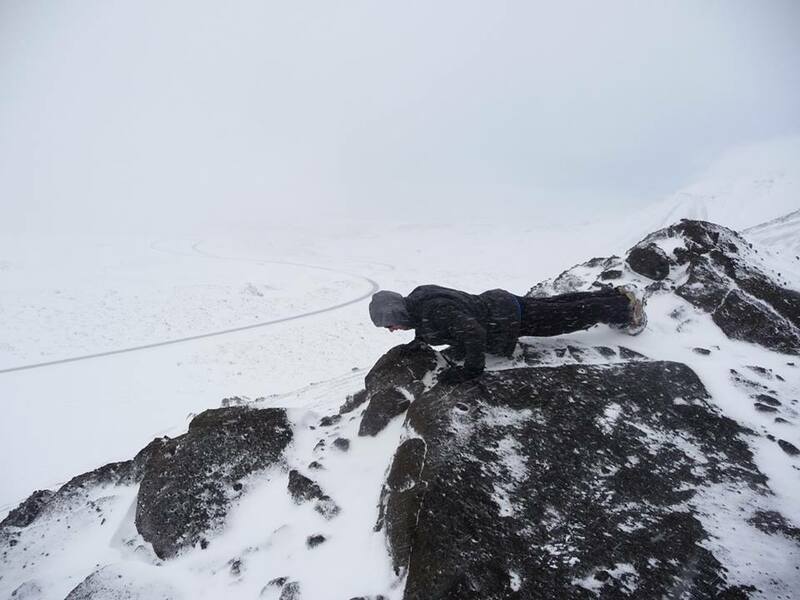 On another trip, when I was in Iceland with a couple of buddies, we climbed up a snowy mountain and did push-ups and burpees at the top. Using your environment as a workout prop is a fun way to mix up your routine and create some memorable moments and photos. Go on a scenic hike. If you want to get off the grid and connect with nature during your trip, what about going on a hike? This is a great activity when you have more time and when you visit a scenic destination. A few years ago, my brother Matt and I took a road trip through some national parks in Canada and Montana. 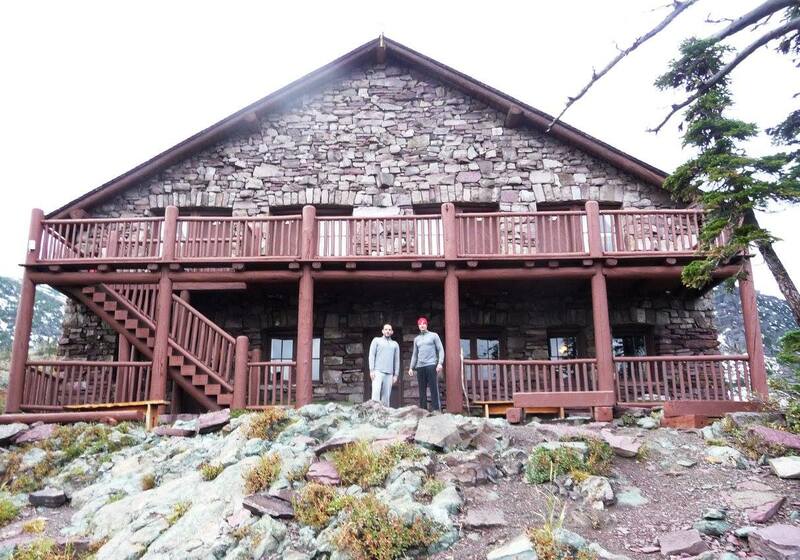 During our visit to Glacier National Park (in Montana), we did a two-day hike in the back-country that included an overnight stay in a log cabin that was 100 years old and free of electricity and running water. It was the highlight of the trip. It also made our visit to Glacier feel much more rugged and authentic than if we had just driven through the park and checked out the scenic overlooks- which is what the large majority of the park’s visitors do. Hiking is a very scalable activity, based on your fitness level and desired distance and level of difficulty. You could do something as easy as a flat, one-mile hike, or you could do something more intense like a multi-day, uphill climb into bear-filled back-country. Just bring bear spray if you do the latter! 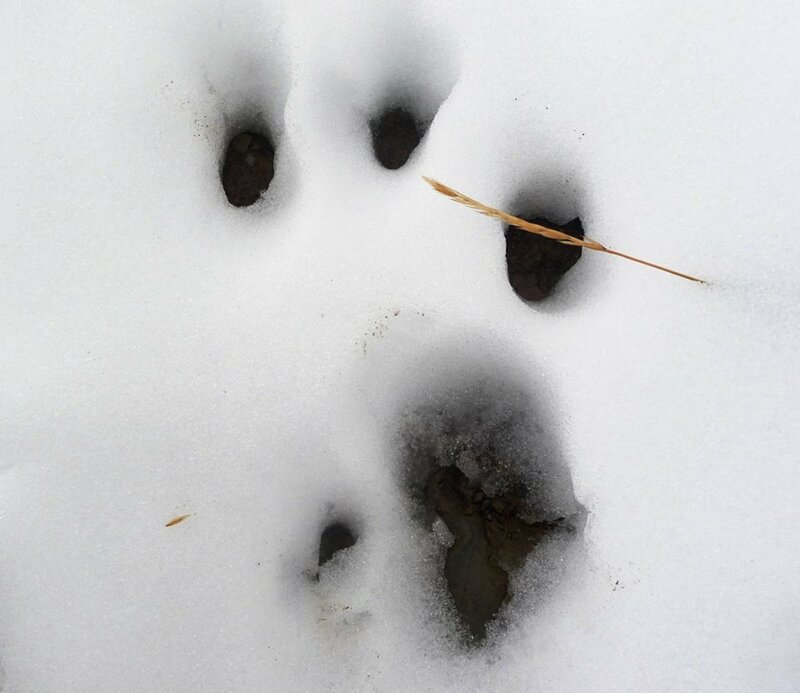 While we didn’t see any bears during our hike, we did see several prints of their claws. If you are staying in an urban area (or if time is limited and a long hike is not possible), another option is to take an active tour of the area near where you are staying. Why not explore your surroundings with a walk, run, or bike ride- instead of just driving around in a tour bus or on a scooter? For example, if you are in New York City, you could take an active tour through Central Park en route to the Central Park Zoo. If you are in Washington, D.C., you could take an active tour through the National Mall area en route to the Washington Monument. 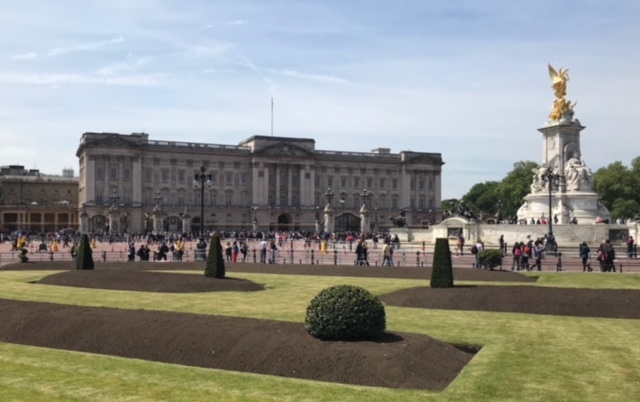 If you are in London, you could take an active tour through Hyde Park en route to Buckingham Palace. You could create your own active tour, or you could join an active tour run by a local company. The former is my preference, and it might be the only viable option if you are in a more remote area where tours are not offered by local companies. Either way, whether you go off on your own or join someone else’s tour, bring a camera or phone, so you can stop and take some scenic photos along the way. 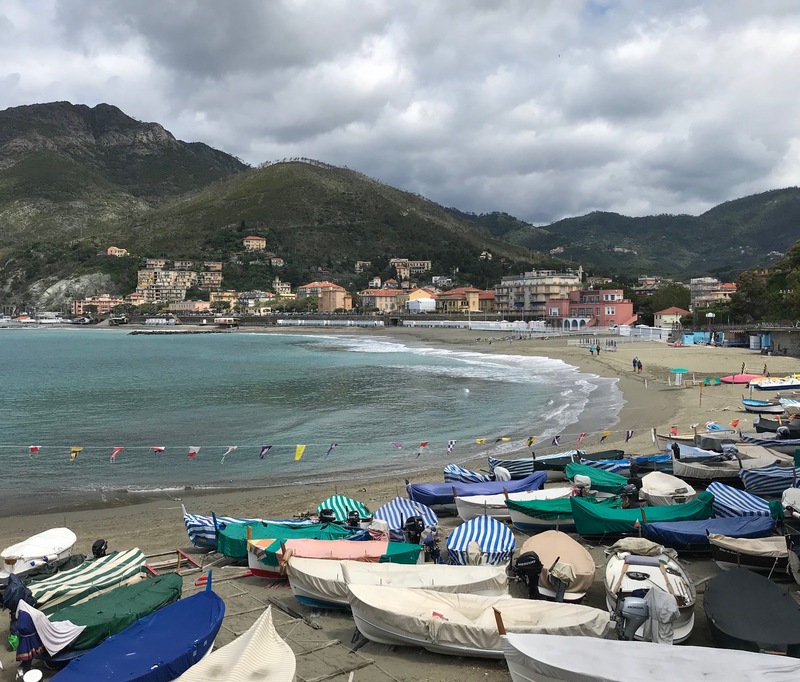 If you want to take it one step further, another great way to be active during travel is to identify and compete in a race in the area that you visit. 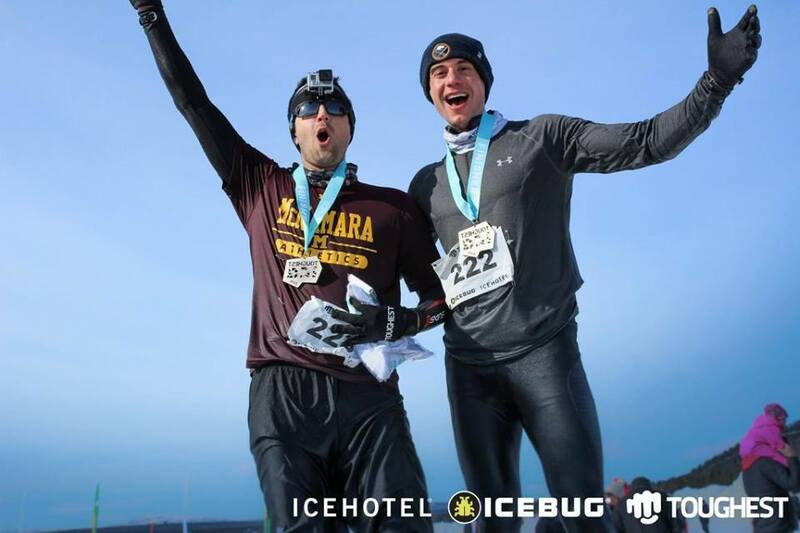 To do so, you will typically need to be there during a weekend- when most races occur. You could do research to see what events are happening during your trip, or you could build your trip and travel schedule around the date of a race in a different city or country. For example, if you want to do a marathon, triathlon, or an obstacle course race, why not do it in a different city or country, instead of right near your home? While traveling for a race will be more expensive, it will turn the event into an even more memorable and rewarding experience.